Galashiels Police Station, Bridge Street, Galashiels. Cocaine worth £300 has been seized as part of an operation to stamp out anti social behaviour and drugs crimes in Galashiels. Police Scotland has launched Operation Concentrate in a bid to make the town safer for residents. Officers carried out high-visibility patrols in the centre of Galashiels on Saturday, December 1 as part of the operation. Cocaine with a street value of around £300 was recovered when officers carried out stop and searches. A number of people were also reported for anti-social behaviour offences, including a breach of the peace, and a driver was issued with an anti-social behaviour order warning for driving offences. Officers work on Operation Concentrate are now appealing to residents with any information relating to ongoing criminal activity to come forward. 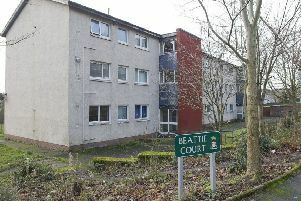 Constable Ashley Black of Galashiels police station insisted that this kind of anti-social behaviour would not be tolerated. “We are committed to making communities in the area safer,” he said. Anyone with information relating to these kinds of crime can contact Police Scotland on 101, or make a call anonymously to the charity Crimestoppers on 0800 555 111.